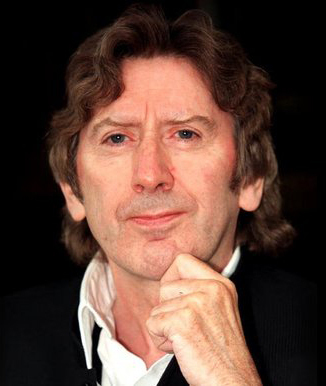 James Herbert (April 8, 1943 – March 20, 2013) was a best selling British horror author generally considered to be Britain’s answer to Stephen King. Herbert was the author of 23 novels, two works of non-fiction, and a handful of short stories. His novels have been translated into 34 languages and sold over 54 million copies worldwide. Prince Charles honored him in 2010 by appointing him Officer of the Order of the British Empire, a title and medal that recognizes recipients for significant achievements for the United Kingdom. The same year he received the World Horror Convention’s Grand Master Award, which was presented to him by Stephen King. Herbert’s first novel, The Rats, set a new bar for horror when it appeared in 1974 by pulling out all the visceral stops. Wikipedia reports that the first 100,000-copy print run of the book sold out in three weeks. His second novel, The Fog, is a highly-regarded work of horror; early editions of the book fetch high prices in the collector market. Specialty publisher Centipede Press produced a high-end reissue of The Fog in a signed hardcover edition with an introduction by Ramsey Campbell. His later novels met with similar success, and cemented Herbert’s name as one of the greatest horror writers of his time. Several of his novels have been adapted to film, radio dramatizations, and TV series. Herbert passed away a few weeks shy of his 70th birthday at his home in Sussex in March 2013. Your site is great! I love seeing all the vintage horror books, I myself am a huge James Herbert fan ?